I went to Bradshaw Mountain High School and graduated in 2001. It's been quite some time since I've been there but one person I will never forget is George Ponte. If you've ever been to that school then you know how genuine and just all around awesome this man is. I remember him being the voice of the Bears and how exciting it was to watch a basketball game. I don't even like basketball but he made it fun to watch. I graduated high school and went to boot camp for the Marine Corps shortly after. George and I did have one disagreement. Being that he is from New York, he's a die-hard Yankees fan. I despise the Yankees because I'm a Braves fan and if you follow baseball, you know that the 90s had quite a few World Series games with the Yankees playing the Braves. Well, George got my mailing address while I was in boot camp and sent me box scores from the news paper so I could stay up to date on how my team was doing. Plus, we were able to trash talk each other and keep the rivalry going. He took time out of his busy schedule to make sure I was doing well and it was awesome. George taught a history class when I was a senior in high school. I couldn't tell you much about his class other than he would have the notes on the board for us to copy into our binders every day. I remember how enthusiastic he was when he was lecturing. He said one thing to us though that I'll never forget. We were learning about the Vietnam war. George told us that before he dies, he wants to visit the Vietnam memorial. Some of his best friends are on that wall and he wants to see them and have a beer with them. I always told myself that when I get the money I'm going to send him on a trip to DC so he can visit the wall and spend time with his buddies. So that is why I'm doing this. I think that this would be an amazing gift from all of us. My plan is to raise enough money to fly him and his wife to DC, stay in a hotel for a week, have a rental car, extra money for food, and any admission to the museums in the area. Once I reach the goal, I will drive to Prescott Valley and present it to him at an assembly in front of all of the students. I'll keep you all updated as well so you can attend if you are able. I've already spoken to BMHS and they think it's a great idea and will give us the time we need to present it to him. This may be George's last year of teaching and what better retirement gift than his students, past and present, all chipping in to give him such an amazing gift. If you have any questions please let me know and thank you so much for donating! Ladies and Gentlemen, tomorrow is the big day! I'm beyond excited to hopefully see you there. 1 - KA teacher that has an amazing gift coming his way TOMORROW MORNING!!! Thank you, thank you, thank you all for making this happen. 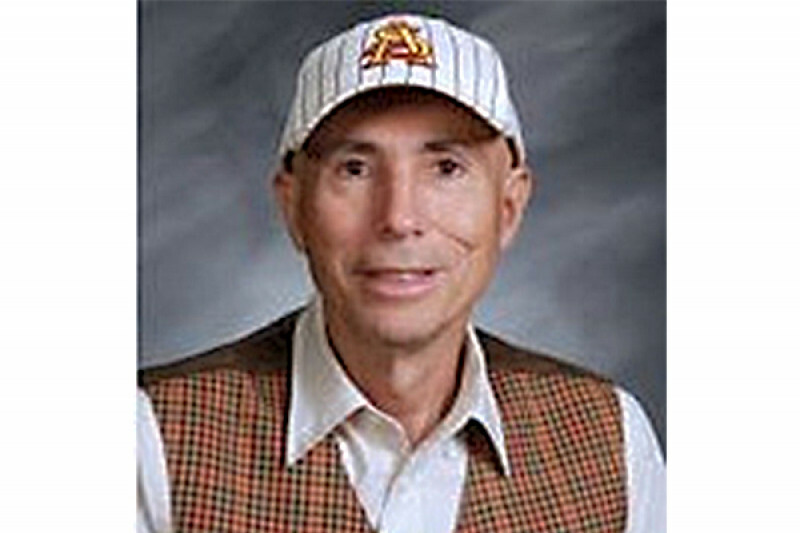 Mr. Ponte has affected so many people in a positive way and left a lasting impression. This is just a small token of appreciation for his years of dedication to the community! George, when you finally see this, thanks for being such a great teacher, mentor, and friend. Good morning, just to clarify, this is happening on Friday, 3 March, at 10:30. Also, do any I've you know a photographer/videographer that would be willing to donate their services? If so, please have them contact me. Ladies and gentlemen, small change to the time. We have from 10:30 to 10:55. The seniors should be there in addition to all of you that are able to attend. I'D LIKE TO FILL THAT GYM UP, so please spread the word. Mr. P will be hanging out in the office and brought to the gym at approximately 10:38. Once he walks in we'll kick it off. If you have questions please let me know! I'm looking forward to seeing you all there! The date has been set!!!! March 3rd at 10:45am!! I would get to the school early because I'm expecting quite the crowd. I'm excited for this and excited to hopefully see you all there. I want to this to be a surprise and my fear is that this has exploded, he will find out prior to March 3rd. Please let us know when this "reveal" will be. I would love nothing more than to be there! Is it too crazy to let a news station know so they can film it? We need good news like this to spread in today's world! Shelby I will definitely let you all know. I'll try to give enough notice so we can have as many people there as possible! Hey! This is great, and for a great teacher. I am currently helping with Student Council, we have not set the date for our last assembly, looks like the goal will be no problem- please let me know how I can help you with the presentation part of this! Great job Bears, it is great to see so many of you that I know helping out with this! You guys rock! Give credit where it's due...thank you Chris Ames, Hiland and Mr. Bradshaw. The campfire talks that led to a presentation of a generous gift from years of Mr. P's pupils. Let me know when you're doing this reveal to him!!!!! I would love to see his reaction to this! Please let us know when you will reveal it to him. I teach in Phoenix but I would definitely take a half day to make it to that event. Yes Live Stream would be nice - please share! George is my brother-in-law. He is an awesome person and a amazing fantastic teacher. When I was in HS I always wished George was my teacher but unfortunately he taught at an all boys school Power Memorial. He's always been the brother I never had. He taught me everything I know about sports. I'm so honored and blessed that we are family. He is a wonderful husband, father and grandfather. Thank you from the bottom of my heart in honoring him, my sister and his family. I live in Colorado and would love to see this presented to him. Please video and post. Looking forward to attending this event! Chris Ames what an awesome thing you've done! Nothing but Respect for The Godfather, and nothing less! Had him for Civics, US History, Civil War History, and Midievel History, all in the same year! Still have my notes somewhere around here, you best believe my kid will be learning from Mr. Ponte in some form! We watched Star Wars to enhance our understanding of the 100% accurate happenings of what really took place during the civil war. 10/10 would take the Godfather's class again. Wishing you all the best Mr P! You made history class unforgettable and you are a teacher I will never ever forget! Have an amazing time in DC! Thank you for being you! - Jenn Magnusson, Class of 08' - If anyone has a video please please somehow share it! I will stream it live through my Facebook if Nyone wants to watch that can't make it. See you in a little while .R P.
Is someone going live when you do this?? Thank you for being an amazing teacher and sharing your passion with your students. I will always remember the lessons you taught, especially those you taught through your example. Love you Mr. P! Enjoy your trip Mr. P! You deserve it!! My history teacher. My club (skate club) sponsor. My friend. Inspiration. You, Mr. Ponte, are truly the best of the best. Thank you, sir. He may have taught history, but he helped paved the way for many people's future.